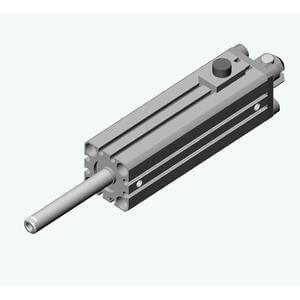 Basic type cylinders with end lock prevent dropping when air supply decreases or residual pressure is exhausted. Separate air piping is not required for locking. Locking position can be at retracted end or at both ends, depending on the cylinder model. A wide variety of options are available.